Beautiful two story 7-bedroom home! Renovated Kitchen & Master Suite! Mountain views from upper Master! Anderson windows throughout. 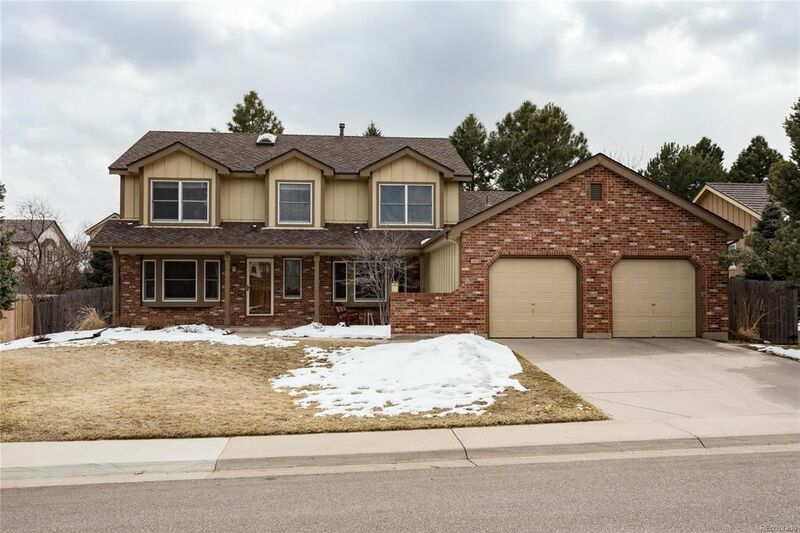 Enjoy a fully remodeled kitchen w/ Stainless appliances, gas cooktop, lg slab Granite island w/plentiful storage & wrap-around windows in view of a beautiful professionally landscaped back yard. Great Room features vaulted ceilings, built-ins & gas fireplace for cozy ambiance. Two main floor bdrms, one w/ adjoining full bath, now used as study. Enjoy the impressive Master suite renovated like a 5-star hotel w/ views of the foothills! En-suite 5-pc bath boasts Granite counters, soaking tub, linen closet, skylight & tile floors. Three addtl bedrooms up & remodeled full bath w/ block windows. Spacious finished basement offers a rec room, bedroom & 3/4 bath so everyone has their own space. New roof 2014, new AC 2012, new furnace 2010. Fantastic location close to trails, parks & shopping. Minutes to the foothills so you can retreat to the mountains in a flash!